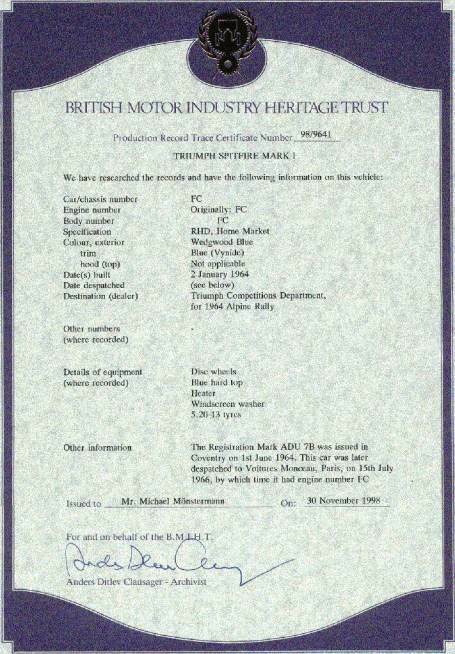 If you want to know in which specification your Triumph has once left the factory you can order a ‘birth certificate’ from the British Motor Heritage Trust in England and you will get such a nice letter. You want to know how to get it? Check here.